One of our own Minnie Moms, Janine, asked for some help from the rest of the gang this month. In late September, she and her husband will be bringing their two and a half year old daughter to Walt Disney World for her first visit. Nine requested the other ladies offer their advice for this journey. A bit of background in case you've not read Nine's planning blog. She and her husband live in the UK and have visited WDW many times so she knows what to do to prepare the adults, plan the trip, etc. Hotel and airline reservations have been made, park hopper tickets have been purchased, international travel paperwork has been filed. They visited Disneyland Paris this summer. But like most moms taking her child to a new place far from home, Nine would like a little reassurance from her friends. Amy: Nine, I didn't send you a list of tips because, well, we've talked so much in the last couple of years that I can't imagine what else I would say. I know you will have a fantastic time. Overprepare before you go, expect that not everthing will go as planned, and relax once the vacation is underway. I know you and you'll make it all about F's amazing smile. I hope you get some time to truly relax as a family. Please take lots of pictures for Auntie Amy!! Natalie: You may want to verify that the 14 day Disney World Tickets are available for purchase in the United States. There is a possibility that they may only be available in England since they are not available to US Citizens. You will be here for Food and Wine Festival. Do you have plans to visit that event while in EPCOT during your travels? There are also many events you can take part in during the festival, both free and paid. Also taking place during that timeframe is Mickey's Not So Scary Halloween Party. This is a great event that Tink would appreciate. Everyone can dress up and enjoy an evening of candy, Halloween-themed parade and fireworks, as well as reduced attraction line waits! What is ESTA and API? Nine's reply: Thank you for your suggestions and questions! We've already pre-purchased the 14 day Disney tickets because you assumed correctly they are just for guests from the UK. Yes we most certainly do have plans to visit EPCOT during the Food and Wine Festival especially as they have opened a veggie friendly vegan Marketplace this year, yummy. We have decided not to do MNSSHP this year. We are not sure how long it'll take Tink to adjust to Florida time, so for a few days she may well be going to bed very early. She does not nap in her stroller so that wouldn't be an option either, too nosey. It's the same reason we are not planning any fireworks this year, we just don't want the pressure of whether she'll be able to stay up or get over-tired and cranky. As for ESTA and API, the ESTA is the American Visa that we have to apply for electronically now rather than fill out a piece of paper on the plane, and pay for $14 each. API equals Advanced Passenger Information and is just extra info that your Travel Agent or flight company require before you can fly. This is mainly just repetitive info such as your passport number. Danielle: Hi Janine! Congrats on taking Tink on her first magical trip to WDW! She will absolutely love it. I say this because you seem to be planning this vacation with the perfect goal in mind: relaxation. With a toddler it's just not feasible to do commando park-touring. An over-tired kid will not be fun for anyone! Your plan of returning to the hotel after lunch is a good one. That's what we always do with our little ones and it works great. It gives them a chance to unwind and then they are ready to go for a fun evening! Arriving for rope drop is also brilliant (sounds like you know what you are doing!) As you know, toddlers do NOT like waiting for anything so arriving early will ensure only minimal waiting, if any, at that time of year. You seem to have a good handle on everything, so my main advice would be to stop and smell the roses! I'm not familiar with your hotel, but I'm sure it has a lovely pool. Take a couple of "break" days and let Tink eat a leisurely breakfast, and enjoy the hotel pool. If being in the Parks every day is a must-do for you, then allow a couple of low-key park days. For example, browse the gift shops, let Tink play in the playgrounds (ie. The Laughing Place outside of Splash Mountain), or water features (ie. the Tiki Men in Adventureland), and watch the entertainment (parades or street entertainment). This will avoid burn-out but instead ensure you all appreciate the "little things" that WDW has to offer!! Nine's Reply: This is all great advice thank you and exactly what we are planning for this trip. As we are not first timers to WDW and we know we will be back, we don't feel the need to rush about this time. This is also our first trip where we will be concentrating solely on the Disney parks which again puts less of a pressure on us to have to do stuff every day. We are totally going to let Tink dictate the timings with most of the holiday, she is only 2 and with a 5 hour time difference it'll be a struggle for a few days. So if it means just a couple of park hours in the morning, a midday rest and sleep then an afternoon in the pool for a few days then so be it. This holiday will be about being together as a family and we're looking forward to wandering around the parks enjoying the atmosphere and scenery rather than rushing for Fast Passes! Get to the parks as early as possible! Take advantage of Disney's FASTPASS system. If possible, take a break in the afternoon (if hotel is nearby) and return in the evening for evening entertainment. It will be less hot and less crowded than in the middle of the afternoon. Meet princesses early at Town Hall at Magic Kingdom. Wait times get long and FASTPASSES may run out. Enjoy seeing the enjoyment through Tink's eyes. If she prefers to stand in line for meet and greets all day or swim at the pool for example, try not to get frustrated. Start off with baby steps when it comes to attractions and then work your way up. If Tink is apprehensive about a certain attraction, skip it or use the rider swap option. More than likely, she won't want to ride anything else afterwards if she gets scared. Bring a change of clothes so Tink can get wet, especially for the new sprayground in Storybook Circus Land. It's a real soaker! Take advantage of Disney's Photopass photographers. They will use your camera to take pictures as well so you have your entire family in the photo. If you think you'll order photos, order Photopass CD in advance to get a discount. Mark your stroller so it's easy to find. If there is rain in the forecast at all, bring ponchos. You may want to wear them on Splash Mountain or Kali River Rapids so you don't get too soaked. Bring your sense of humor and patience. It's easy to lose it at times but try to remember you are at Disney World! Nine's Reply: Corby, wow, where do I start? 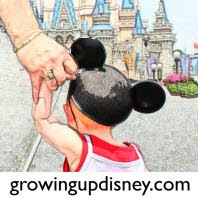 Have you written the book on Tips for Kids at WDW? We will definitely be early mainly due to the 5 hour time difference. We will totally use Fast Pass, always do! Afternoon naps are a MUST our good neighbour hotel is just a 13.5 minute drive from Magic Kingdom. Love idea to meet Princesses early, guess that applies to Mickey too? My child loves to get wet. I'd better bring 2 changes of clothes! Stroller marking is a fab idea, we have a Maclaren Volo which is popular in the US too so better think of something to make it stand out, an inexpensive scarf maybe? We will have fun, thank you so much! Thank you to Natalie, Danielle, Corby and Janine for joining me on this month's post. Please check out past articles from these and the rest of our Minnie Moms team. lol Love your replies Nine! Too funny! You know, the line for Mickey isn't usually too long at Town Hall compared to the princesses. I learned this lesson the hard way. Dressed my little one in her princess dress and told her we would meet them that night after crowds died down. Nope. Line was 70 minutes at 9PM and fastpasses were gone! We went and met the fairies instead. Lesson learned. We'll be meeting the princesses first thing in Oct! Inexpensive scarf would work out perfectly! Use a bright colored one or print that you can spot easily! ;) Can't wait to hear about it!